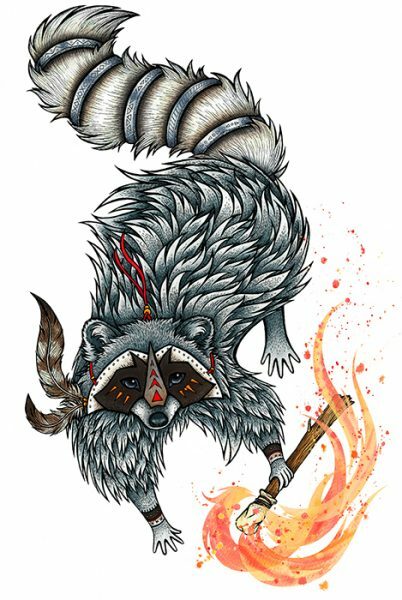 I was inspired to create this illustration after reading the Native American folk tale, ‘How the Raccoon Got His Coat’. Raccoon had plain grey fur until he wore a mask to steal five silver rings from Raven, using his tail to carry them. They left black bands around his tail, and the torch he carried blackened his paws.